'Indeed, I know that this is true. and makes its pillars tremble.' "
Throughout chapter 9 Job lists all the splendid things God does and the omnipotent power he displays, but Job honestly concludes that all this glory and earth-shaking splendor does create the communication problem between God and man. They simply cannot understand each other. Indeed, as surely as man cannot understand God, neither can God understand man! And, since God is the creator and the mature person in the relationship, Job thinks it is God’s responsibility to fill this communication gap. Job makes a simple suggestion: Find someone to stand in the middle ground. Find someone who understands God, but also can relate to man. Then, that arbitrator could communicate for both God and Job. It is a reasonable solution! "Faith, as Paul saw it, was a living, flaming thing leading to surrender and obedience to the commandments of Christ." Lacham (Hb) – Fight (Eng) – the Hebrew word lacham means “to fight,” “to do battle,” and “to engage in combat.” (Numbers 21:23; Joshua 10:5). Lacham refers to hand to hand combat in 1 Samuel 17:32-33. In Deuteronomy 20:4 God himself does lacham. 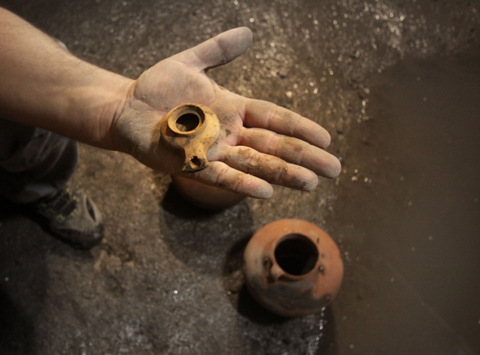 Three clay cooking pots and a small ceramic oil lamp where discovered inside a cistern in the sewer that runs from the Pool of Siloam to the Temple Mound in Jerusalem. These items indicate that someone around the time of 70 AD was eating food while they and the food were hidden in the underground tunnels. 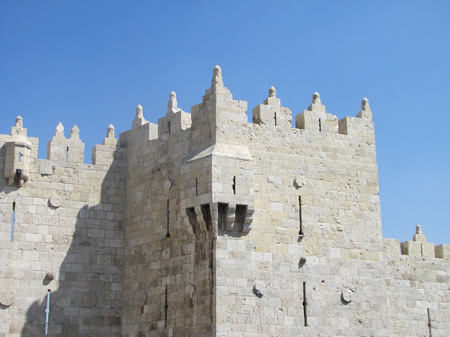 These were likely used by Jews hiding food from other Jews during the Roman siege of Jerusalem (69-70 AD) or hiding from the Romans themselves. Have I accepted God's mediator, Jesus Christ, as my personal representative from God and to God? Have I taken time to read the material God had men record in order to communicate with man? I will accept Jesus Christ as my savior and as the way, the truth and the light. I will read and study the text of scripture that reveals God and his way. 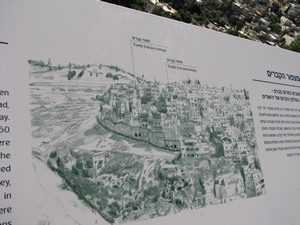 Tombs in Silwan as viewed from the City of David over the Kidron Valley with the Mount of Olives in the background. to break down) is lower than its boiling point. This means it would start smoking before it started to boil. This would make it difficult to reach the boiling point since the smoke would be extremely irritating to the eyes and throats of those who were heating it as a defensive weapon. See photos of machicolations here and here.